Shop online for over 600 trix model trains at discounts up to 34%. Locomotives is the most popular of the 13 trix model trains categories, then Passenger Cars, and Freight Cars. This is the N Scale Type Zans Petroleum Oil Tank Car 4-Pack - Ready to Run - Minitrix - Nacco from Trix. 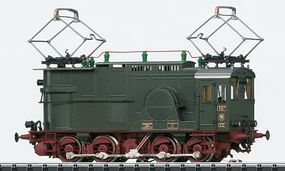 This is the N Scale Minitrix Krupp/AEG Class E 50 Electric - Sound & DCC/Selectrix Equipped - German Federal Railroad from Trix.